As I mentioned in the earlier post, I raced to two stores today in search of the white Chilly Chill Puff Vest so that I could choose between the Inkwell I ordered and that one and unfortunately neither store carried white. 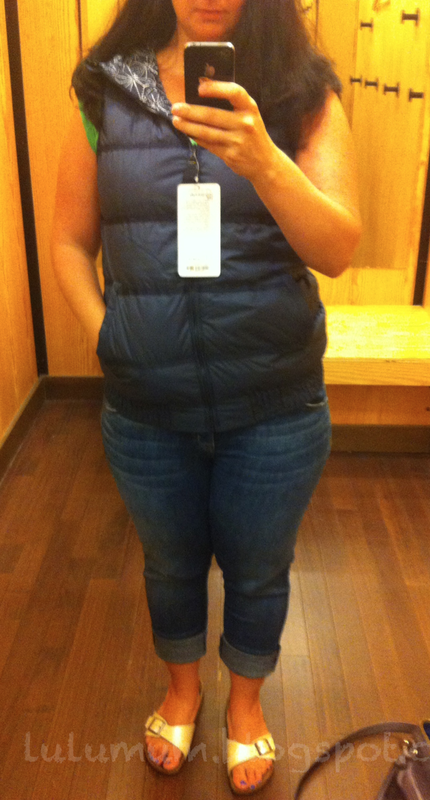 I did get to confirm my sizing choice though. I ordered my TTS 10 and I am really glad I did. 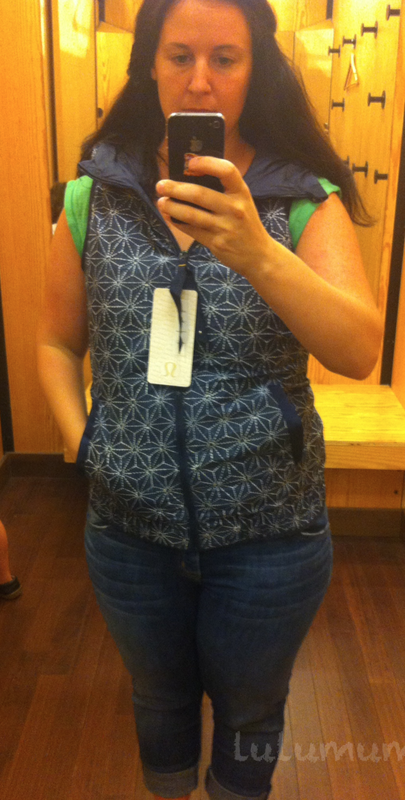 I find the length to be much longer than prior years vest (I have the Peace Of Mind and at one time had a Huff N Puff) and also quite roomy. I feel like I could easily layer a sweater underneath this such as the Chai Time, or even a Scuba Hoodie. The cut of this years vest is really flattering with the longer cuffed hem which allows you to wear it over a longer sweater, and the armholes are cut in such a way that you can wear it with a short sleeve or tank without it looking really wide in the shoulders and masculine. Both my Huff N Puff and Peace Of Mind vests look particularly terribly worn over a tee or tank but this one looks great either way. 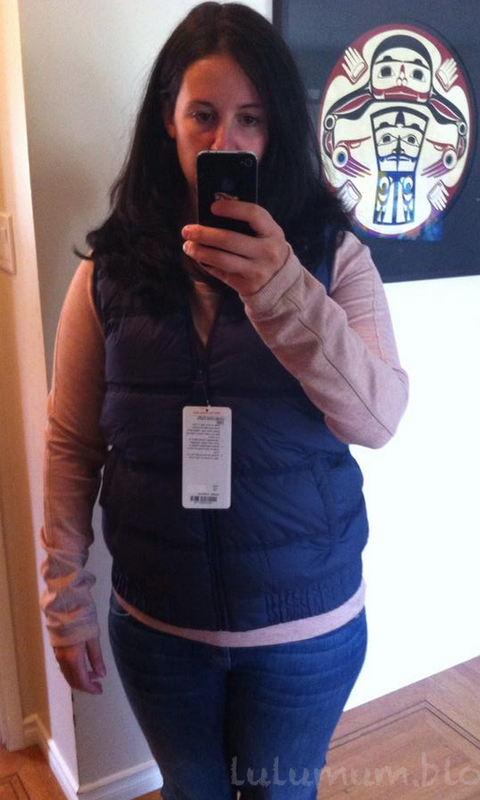 I just love how slouchy this vest looks in profile. The cut is super feminine and the printed reversibility is such a fun option to have. If they could have married the Inky Floral Print to the Solid Inkwell Chilly Chill Puffy Vest that would have been my ideal combination. 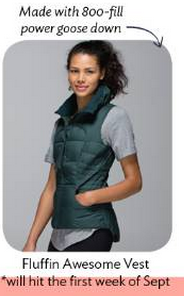 The only nit pick about this vest is that the pockets do not zipper close. Instead they have snap buttons. This is really a none issue for me since I always leave my pockets unzipped in my POM vest but some of you love the zipper pockets. This years version is 800 Fill (I think my POM is as well) but it is noticeably lighter and smooshier. My oldest daughter is starting 7 months of soccer so I will get tons and tons of use out of this vest I’m sure. If you missed out on the Chilly Chill vest online and where thinking of getting the upcoming Fluffin Awesome Vest, beware that it is going to be online only. My ed friend wanted me to make sure to tell you guys that stores will not be getting it so if you really want it, get it online when it uploads. Here it is over my thickest sweater, the Scuba Hoodie. It is still very comfortable without feeling restrictive in any area, including the bust and armpits. 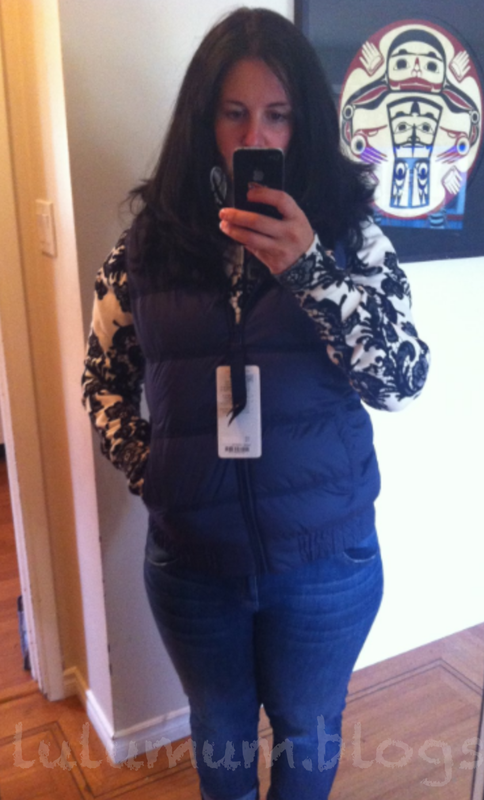 "Chilly Chill Puffy Vest, Awesoma Henley, Heathered Coal Inspire Crops"
"More Chilly Chill Puffy Vest and Awesoma Henley Photos"